... 2400 block to be exact. Deputies on the scene say that the occupant of one of the homes died, apparently of natural causes or household accident. They've been there flashing lights since before 5 PM today. Ithaca College junior Tina Orlandini (of Altadena) helped the Bombers win their first match in the New York State Regional Championship, and put herself in the record books as the second player in all of Ithaca history to get 600 or more digs. A story and picture of her in action at the link. And now the Episcopal Home Communities, owner of the MonteCedro property/vacant lot west of Lake, are considering selling the Scripps Kensington in Alhambra (where many Altadena Scripps Home residents were relocated to allow development of MonteCedro). Episcopal Home Communities has signed a letter of intent to sell the property, the potential buyers being a group of physicians who plan to redevelop it into a "state of the art" senior facility. Alfred Lee at PSN has the scoop. Remember that there will be kids out after dark in our frequently unlit and sidewalk-less streets, so be careful! And check out our Holi-dena page for today's festivities! 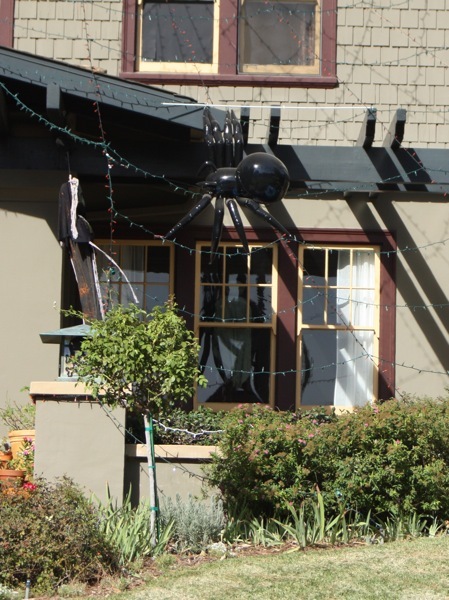 KABC has a feature on the holiday that features the Braeburn horror house. 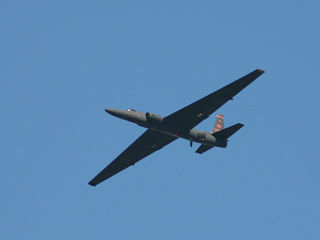 Don't miss the historic presentation on Mon., Nov. 2, as former U.S. Senator and Presidential candidate George S. McGovern and author/Watergate whistleblower John Dean will be "Talking Politics" at the Altadena Senior Center, 560 E. Mariposa, at 7 PM. This special appearance by two influential and important American political figures will be followed by a book signing, and books will be available for purchase at the event. George S. McGovern represented South Dakota in the United States Senate from 1963 to 1981 and was the Democratic nominee for president in 1972. He was a decorated bomber pilot in World War II, after which he earned his Ph.D. in American history and government at Northwestern University. A recipient of the Presidential Medal of Freedom presented to him by President Clinton, he lives in Mitchell, South Dakota. John Dean served as White House Counsel to President Richard Nixon from 1970-1973, and became the star witness of the Watergate prosecution. 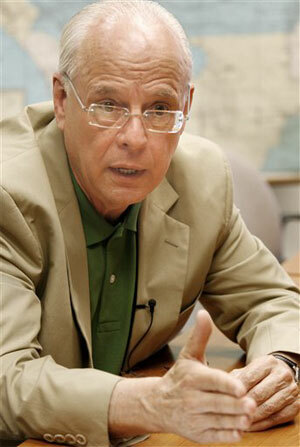 Dean frequently appears on MSNBC's Countdown with Keith Olberman and is the author of numerous books including, Worse Than Watergate, Conservatives Without Conscience, Broken Government: How Republican Rule Destroyed the Legislative, Judicial and Executive Branches and, most recently, a reissue of Blind Ambition. John Dean lives in Beverly Hills, CA. Our fellow seminarian and former partner in crime Michelle Hunevan has a piece in the New York TImes Magazine (!) this week, a melancholy tale of her father vs. the automobile in late life. The Altadena Town Council's Land Use Committee meeting for Nov. 3 at the Community Center has been cancelled, chair Brian League tells us. Yesterday (Wednesday) my husband called Mercedes Benz road side service because my car (parked in the garage along with my husband's car) would not start. A technician from Ruznak came about 1:15 pm and jumped my car. My husband let my car run to charge it so the garage door was left open. He heard some noise but thought it was me returning home. When I didn't come into the house, he went into the garage to see what was going on and found a tow truck backed up to his car and a man attempting to hook it up. My husband yelled at the man and ran back into the house, grabbed a kitchen knife and went back outside to chase the man away. The man jumped into the truck and sped off. Unfortunately in all the chaos my husband did not get a license plate number or a name from the truck. It was an older model small white tow truck with blue printing on the door. This all happened approximately between 1:30 - 2:00. We reported the incident to the Altadena Sherriff's Department. I also talked to Ruznak to make certain that a tow truck was not sent in error. They were very helpful and checked with the service tech that came to our house as well as their own service department and Mercedes Benz roadside service. No one sent a tow truck. Also, they only use flat beds to tow. 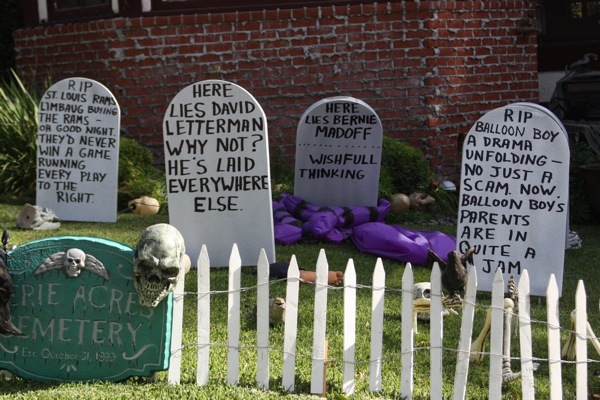 The notorious Halloween haunt on Braeburn near Porter, the definition of wretched excess. It is to Halloween what the Balian mansion is to Christmas. A really large black widow spider on Homewood. 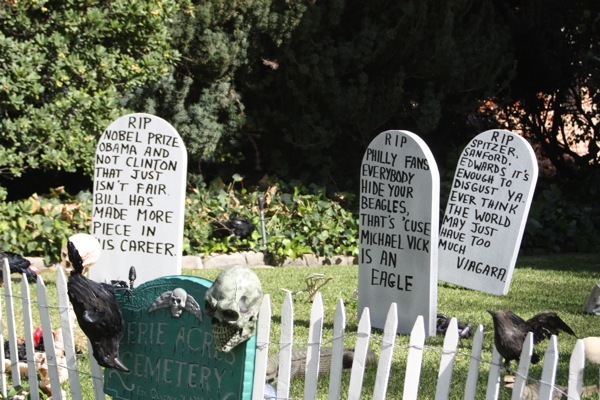 This house on Mount Curve has so far been our favorite -- headstones ripped from the headlines! 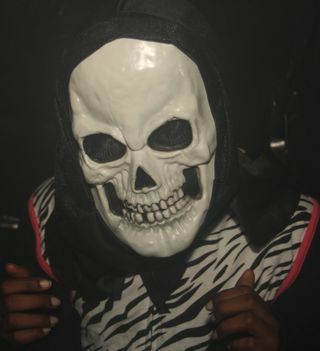 If you have a good Halloween haunt in your neighborhood, let us know so we can take a picture! The Altadena Senior Center is offering free flu shots to seniors, 9 AM-noon today, 560 E. Mariposa. Trick out your treat bag at the Bob Lucas Branch Library, 2659 N. Lincoln, at 4 PM. Christ the Shepherd Lutheran Church,185 W. Altadena Dr., will hold a Children's Halloween Party 6-9 PM for children ages 3-12. Costume contest, crafts, food, fun and treats for all, plus a Haunted House! 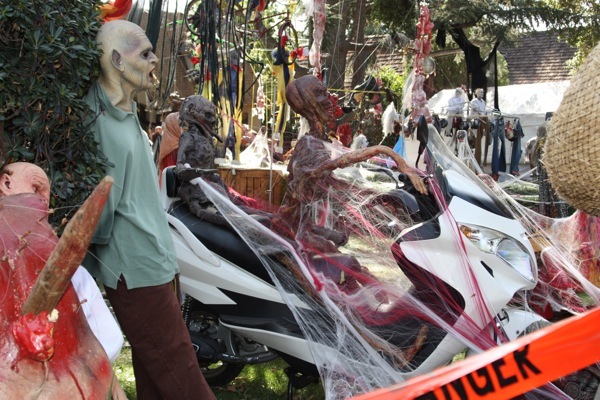 Loma Alta Park's Community Building will turn into the Altadena Haunted House 6-10 PM. For more information: 626-398-5451. Webster's Fine Stationers, 2450 S. Lake Ave. Unit B, will have kid activities, a coloring contest, and lead procession up and down Lake Ave. The fun starts at 2 PM and goes on until 6. The 12th Annual Haunted Jail (again in 3-D) will be at the Altadena Sheriff's Station, 780 E. Altadena Dr., 5-8 PM ($2 min. donation per person). Not for real little kids -- be prepared to be scared! We'll be at the "Together is Better" 5K walkathon, hosted by Flintridge Prep's Leo club to benefit Club 21, a learning and resource center for people with Down Syndrome and their families, starting at 9 AM at Central Park in Pasadena. NAACP Youth Council meets at the Community Center, 4-5:30 PM. This is the big one: Author & Watergate figure John Dean and former senator and presidential candidate George McGovern will be "Talking Politics" at the Altadena Senior Center, 560 E. Mariposa, 7 PM. The special appearance will be followed by a book signing, and books will be available for purchase. This presentation is by the Altadena Public Library and Friends of the Library. ... or at least at Skyview Dr., according to reader Escovar, who says he spotted an ursus in his yard near Aveson School at about 1:30 AM Wednesday. Haunted House at Loma Alta Park Fri.
Another addition to our Halloween activities (check our Holidays page for the full list), Loma Alta Park's Community Building will turn into the Altadena Haunted House on Fri., Oct. 30. There'll be a coloring contest, games, and general spookiness for free. It starts at sundown (about 6 PM) and goes on until 10 PM. For more information: 626-398-5451. LA County Public Works will be sending crews today to pick up the tree debris that has fallen in the street. The tree debris on private property should be collected by the resident and placed in the appropriate receptacle or bundled for their normal trash pick-up. We have a 30 ft. section of ash tree in our back yard, and no idea what to do with it! Thx to the fabulous Susan Carrier, who tells us that young Owen Migel didn't make the cut to finalist for kid correspondent for the Today Show, but rising above thousand of entrants is a victory in itself. Want to see what goes on inside the historic facade of Eliot Middle School (2184 N. Lake Ave., Altadena)? Principal Peter Pannell -- himself an Eliot alum -- will give a tour of Eliot on Tues., Nov. 3 at 9 AM. The tour is geared to parents of 4th-6th grade elementary school parents who may be considering their middle school options. Call the school (626-396-5680) to confirm your interest. Meet on Tuesday morning at the school's main office. The Altadena Sheriff's station is making available a summary of their Oct. 7 meeting on burglaries (available here as a .pdf) . Most of this information was made available previously, but now it's here in one place. Share with your neighbors! As many of you know, Joe Clay, AKA Rambro has been seen hunting with bow and arrow in the Meadows and Millard Canyon areas again. He was seen parked on El Prieto yesterday, in full camo gear as usual. I am sure it is no coincidence that later in the day, I got a report that a local postal carrier saw a deer with an arrow sticking in its side. I am not sure exactly wehere the injured deer was seen. If anyone has more information - or sees it again, please let me know. (951) 443-2969 - ask for the FISH & GAME OPERATOR. Let's keep our eyes open! The fabulous Monica Hubbard points out an article in today's LA Times about a 9th circuit court of appeals decision, giving cities the right to ban cell phone towers for aesthetic reasons. Hard to know what effect it will have on frequently-contentious Altadena locations, as (1) Rancho Palos Verdes is a city, and we're not, (2) The ninth circuit is the most overturned circuit court in the country, and (3) RPV is more important than Altadena (e.g., they get firefighting choppers right away ... we get a rock) (4) it may be tough to make a case about aesthetic appeal in parts of Altadena! But it's something for the mix. Altadenablog welcomes our new sponsor, Curves Altadena. Rose West circled around the idea of owning a Curves franchise for several years. "Seven years ago, I met a woman who opened one in Duarte, and was fascinated. I joined immediately," she said. "I was fascinated that I could work out in 30 minutes, which suited my lifestyle." When a franchise opened in Altadena five years ago, she said, "It broke my heart -- If I had one, it had to be in my own community." But the idea of ownership didn't go away -- during a women's retreat in 2008, she participated in an exercise to imagine what one would do if money was no object -- and for West, it was "either go to makeup artistry school, cooking school, or buy a Curves." Then she heard the Altadena franchise was for sale. After several months of indecison, her husband, Keith West, in exasperation, said, "buy it or don't buy it, but don't talk about it any more!" So she bought the franchise and opened it up in its new location, 2525 N. Lake, No. 6, in July 2008. West sees it as an extension of the work she's done professionally all her life. "I sold Mary Kay for 18 years," she said. I never sold lipstick. I sold a chance for women to take care of themselves, to feel glamorous." With Curves, "I'm taking care of women in a different way, but it really is the same thing." The Curves formula Is simple but elegant: a circuit of equipment that provides a mixture of cardio and resistance training, piped-in music that encourages a steady pace, and and verbal cues to remind members to change equipment or cool down. It's quick, easy, and adaptable for women of every age and fitness level. Curves members in Altadena are as old as 84 years of age. It's also a commitment: new members receive a health history and discuss their goals. "If they don't come for a couple of days, we'll call or email," she says. Members are also weighed once a month, and analyzed for body mass. West says that Curves never says you're going to lose weight with their program, but you will reduce body fat and increase lean muscle mass. The Curves franchisees recently were named the best fitness/weight loss program by the Pasadena Weekly. Curves is open on Mondays and Fridays from 6 AM- 1 PM, and from 3-8 PM; Tues. and Thurs. from 12:30-3:30; and Sat. 7 AM-noon. To mark Breast Cancer Awareness Week, until Oct. 31, you can join for free with proof of a mammogram or a $25 donation to breast cancer research. 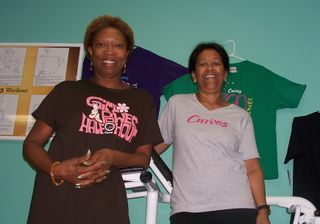 Curves Altadena is also fielding a team of walkers for next summer's American Cancer Society Relay for Life. 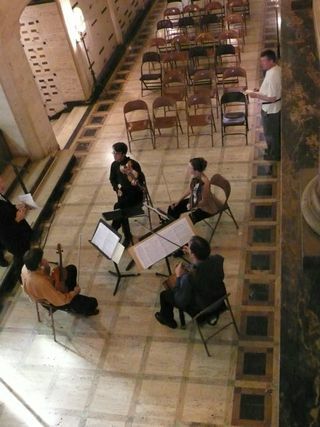 Debra Johnson has put together a slide show (warning: music!) a out the traffic situation at Loma Alta School. The Pasadena Unified School District (PUSD) is seeking applicants for its Strategic Plan Steering Committee, responsible for advising the Districtâ€™s upcoming strategic plan process. Members will assist in developing a framework for community engagement, identifying focus areas for parents, businesses and community organizations, and designing a community engagement plan. This community-based committee will include five board members, parents, employees, students and representatives of local businesses, community organizations and institutions of higher education. Individuals with a stake in the future of PUSD are strongly encouraged to apply. Application is available at the PUSD website: www.pusd.us. I am interested in the development of access restriction at Pinecrest. It is my recollection that at one time it was your typical pipe gate and there wasn’t a real change until the present gate. Help me out. Dates [decades, years, seasons, months, etc.] are real important. TV or not TV: fire, what fire? Making the rounds in the newsgroups: an article by longtime TV and print journalist Hans Laetz in TV Technology magazine (unfortunately, apparently not available on the web, and we have a policy not to cut & paste the work of other publications). 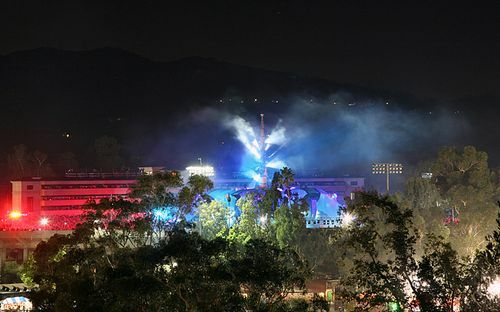 At 5 p.m. on the Saturday of the fire, it was I who wrote to the LA Observed web page: "It's 5 p.m. on Saturday, the biggest fire in years is in the backyards of thousands of homes from Lake View Terrace to Pasadena, and NOT ONE Los Angeles TV station is providing continuous coverage. A few minutes ago, KTTV popped on with a brief update after the Dodger game, then returns to 'Whacked Out Sports.' KCBS did a half hour at 4:30 then went to an NFL preseason game. Sister KCAL is in syndicated schlock. KNBC: regular programming, some sort of taped feature show on hot cars at Mt. 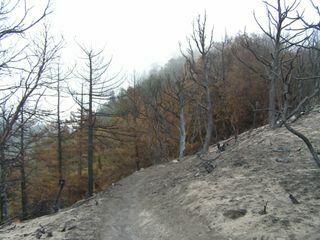 Pinos. KABC: live coverage from ABC News of the Kennedy interment. KTLA: some show about warlocks and evil spirits." We'll link to it if it goes online. 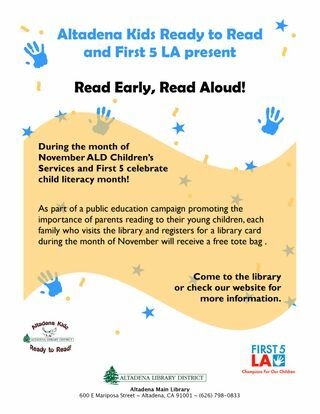 The Altadena Library District's Children's Services and First 5 LA are celebrating Child Literacy Month in November. To encourage families to read aloud together, the library is offering a free tote bag for every family that signs up for a library card during the month. The annual Fiesta at St. Elizabeth Church features carnival rides, old-fashioned games, international foods, a beer garden, live music, and great talent show! Everyone welcome to join in the fun! Admission is FREE. Tickets are required for rides, games, food, and drinks. The LA Times runs an article today that the large flag used in the opening of the LAPD's new headquarters was actually hung the wrong way (the field of stars should be on the viewer's left when hung correctly). Quick on the draw about the faux pas was Pasadena PD Commander (ret.) Bruce Linsenmeyer of Pepper Drive. UPDATE: In the preamble to the message (which didn't make it in here), it says hikes will resume Wed., Oct. 28. Come and enjoy a mid-week evening hike up to Henninger Flats starting @ 7:00pm. This hike is 5.4 miles round trip. We will be following the Old Mt. Wilson Toll Road out of Altadena. Take an easy or quick pace. You decide. You can't get lost, there's only one road to follow. The view of the city from the overlook is truly breathtaking at night. The hike generally takes between 50 - 60 minutes to get up to Henninger Flats. We stay up top for about 15 - 20 minutes then head back down. Rattlesnakes have been seen on the road so always be alert. When its dark they do stand out on the dirt road, so keep your eyes open. There is a visitors center on top but it is generally closed by the time we get up there. If there is enough interest in this hike bi-monthly, I can call up ahead and arrange to hopefully have the center opened at least once a month if not each time we hike up. They also have a little theater where they can show vintage footage of the Mt Echo Railway during its days of operation. To have a movie shown will require a few weeks notice but it's really worth the time there too. Bring water and a snack to enjoy on top. Wear good hiking boots or walking shoes. Layered clothing. Dogs are o.k. but they MUST be kept on a leash at all times!!! You can bring a flashlight if you must, but we never use them while walking. The glow from the city lights up the road just fine. In the event of rain, well bring some rain gear or an umbrella. We are still hiking even in the rain. If you bring a dog, you will be required to clean up behind it!! Driving into Pasadena on the 210 freeway exit @ Altadena Drive. Coming from the east, turn right, coming from the west, turn left towards the mountains. Follow Altadena Drive about 2 miles to New York Drive. ( There is an ARCO Gas Station on the S.W. 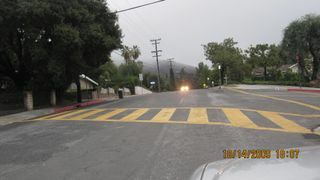 Corner) Continue up Altadena Dr. for about another 1.5 miles to Crescent. Turn Right! (This will be the first street on your right after about 1.5 miles.) You will notice the street because there are many BOTS dots on the street to keep you from making a sharp right turn onto Crescent. Go about 200 yards to Pinecrest, turn right and go about 200 yards to the Mt. Wilson Toll Road. It will be on your right. Park where you can. Be sure to read the posted street signs! There is a large gate and fence there with many signs on it. Try to be about 5-10 minutes early, we will get started @ 7:05pm. TRY NOT BE LATE!!! The gate might be locked!! Richard Davies (with cane) shares stories from original Concerts on the Crest with boho goers. Shostokovich in the fading light brings Boho weekend to an end! Senior center offers free flu shots Thurs. The Altadena Senior Center, 560 E. Mariposa, will offer free flu vaccinations to seniors this Thurs., Oct. 29, from 9 AM - noon. The flu clinic, provided by Huntington Memorial Hospital, is for seniors only, and you don't have to be from Altadena. Please call ahead to make an appointment: 626-798-0505. Prospective members can mingle with other moms, learn about the MOMS Club organization, and more. We'll have a few opportunity drawings as well. MOMS Club is an international non-profit organization that supports mothers who have chosen to leave their paid careers for a new career: staying at home to raise their children. Our chapter currently has just over 50 members and offers many activities for moms and kids each month. We serve moms who live in Altadena. Please contact Patricia Gonzalez, Membership Vice President at altadenamomsclub@gmail.com for the location of the event and further details. ... and left. We spent the evening watching the webcast and simultaneously listening to Pasadena PD's scanner traffic (and reporting same on Twitter). But Bill Westphal, who is everywhere, shares some pictures from the Edge of the Arroyo. All the info we get says it was a great concert. Brian Day @ PSN got to the library this afternoon to hear Mount Wilson Observatory Superintendent Dave Jurasevich's talk on the observatory vs. Station Fire (we weren't able to go, so are grateful that someone was there to share!) A great story, sorry we missed the presentation! Gotta give props to the PSN and its sister papers : they've got a description of an armed robbery @ 7:40 PM at the Arco @ Woodbury & Fair Oaks (while we're doing dishes and watching the U2 webcast). Robber was masked, 5'10, 160 lbs., black hoodie and black pants. 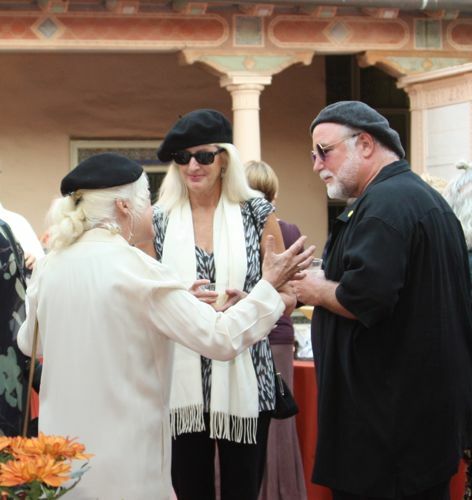 Black berets were the headwear of choice as Altadena Heritage celebrated our boho past in the Boho Highbrow Weekend's kickoff cocktail party at the Mountain View Mausoleum tonight. Altadena Heritage's resident historian, Michele Zack, said that about 75 people had reserved places tonight, but as befits a bohemian event, lots of folks showed up at the last minute without notice! 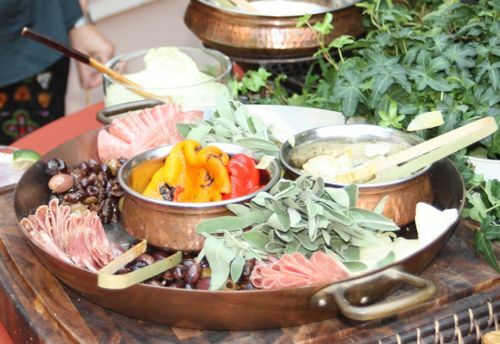 The hors d'oeuvres would be to die for -- as befits a party in a mausoleum. And jazz trio (you can't see the violinist) the BOHOs entertained all the free spirits. An exhibition of art from the era will be on view all day Sunday, at at 4 PM, the Los Angeles Contemporary Ensemble will play music from the 1300's thru Philip Glass while authentic bohemian scientist/artist RIchard Davies will talk about the origins of "Concerts on the Crest" and historian Zack will talk about Altadena's history in the 1950's. Swingin', daddi-o! 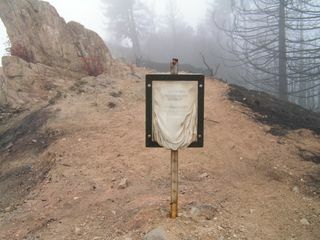 Grizzly Point where the Middle Merrill crosses Sunset Ridge: plastic cover on trail sign that has melted and re-hardened as a drape. Burned-unburned interface where the Middle Merrill turns to go up Grand Canyon. Except for spot fires, the Middle Merrill did not burn. "What starts as tragedy ends as satire"
The Altadenahiker comments on the local political scene. As a Parent On Patrol (POP) at Loma Alta Elementary School. I have taken pictures I will forward. There needs to be a BLINKING School Crossing Sign right at the Curve where Lake Turns (curves and turns into Loma Alta). In addition [we need] lights on the Crosswalk just as you make the that curve on Marengo and Loma Alta (I have seen this in other school zones). It starts going downhill and Loma Alta Elementary is right there. I was standing at the corner this morning 7:10 AM and WOW, do the cars pick up speed. Now that it will be getting dark earlier the lights on the street will also help. There should also be more "CrossWalk" Signs near the school. This is a unusual school corner on a hill (See pictures attached) where there should be an exception to the "100" Foot rule with the blind curve. When is the next traffic meeting? Can we get a survey before then? Debra Johnson's picture of a not-terribly well-marked intersection near Loma Alta School. "Amazing Altadena" arts & crafts fest needs helpers! 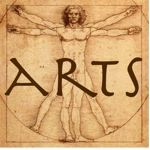 Are you an artist? Do you want to show your work in a new and exciting venue? Committee Members needed now: Bring your great ideas! Be a part of the Altadena Art Community: Booths and/or Salon space available! Volunteer to help: participate in this exciting event!! Big garage sale to make your weekend! Come find what your looking for! On Tues., Oct. 27, celebrate Dia de los Muertos with activities that include construction paper jack o' lanterns, puppets, Mexican paper flowers, and sugar skull decorating at the main library, 600 E. Mariposa, starting at 6:30 PM. On Fri., Oct. 30, more crafty fun at the Bob Lucas Branch Library with "Trick Out Your Treat Bag," starting at 4 PM. Just wanted to offer a sincere Altadenablog "Thank You!" to our wonderful sponsors and those of you who've helped fill our tip jar since the Station Fire. It has enabled us to pay off our desktop computer, erase assorted debt we've accumulated bringing this blog to you, increase our bandwidth, and most prominently enabled us to upgrade our camera equipment from a cheesy $200 point-and-shoot Kodak to a Canon XSi with several lenses and a big ol' battery pack (our first picture under the new regime was the TechWeek story below). Again, we're so glad to have the resources available now to upgrade our equipment and services and continue to bring you Altadena, online. Thank you so much for your continued support of Altadenablog! Hi,I have just returned to the UK after my first holiday in the United States. I was fortunate enough to be staying with my daughter in Altadena. I had a wonderful time and I felt I just had to write and tell you how much I enjoyed L.A. but in particular Altadena itself. Christmas Tree Lane, where your great Library is situated was a special favorite of mine, as was my shopping expeditions to your fantastic Mexican Store, "Super King"
I was very impressed with the facilities that are available to the general public. Altadena Park, (think she means Loma Alta Park - ed.) with its various Sports Courts was a prime example, as was the afore-mentioned Altadena Library. Shortly before the end of my holiday, my family and I were enjoying a delicious breakfast at one of your local eateries (Fox's) when the waitress there kindly gave me one of your "altadenablog.com" cards and that was also when I decided that once I got back home I would contact you, just to let you know how much I appreciated your wonderful city. And a "whatever happened to?" piece: former town councilman Justin Chapman has a piece in the Pasadena Weekly, ruminating about journalism and objectivity. The Christmas Tree Lane Association is pleased to announce that we will be having a Winter Arts and Crafts Festival. 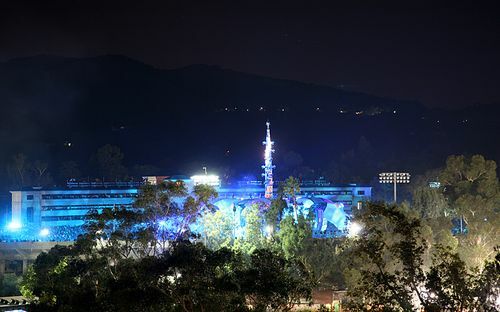 The event will be taking place in concert with the Lighting Ceremony, which is December 12, 2009. The festival will begin at 2pm and end at around 6 PM when the 89th Annual Lighting Ceremony will get underway. 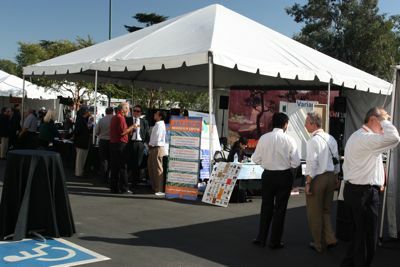 High-tech entrepreneurs, trainers, dreamers, and others gathered today at the Business Technology Center at 2400 Lincoln Ave. for Los Angeles Tech Week. BTC Manager Mark Lieberman said that about 400 people attended the day of demonstrations, panels, displays, and nifty swag. We're here to serve -- so someone alerted us to a deal at Groupon -- Super King Market is having a "buy a $10 coupon and get $20 worth of groceries" deal today, so check it out here. The “pocket park” site at Loma Alta for the monopine/monopalm ATT cell tower has been taken off the board, and the county, ATT, and T-Mobile are looking at another location (rumor has it near the flood control channel behind Loma Alta Park). Still needs to come back thru the Land Use Committee and town council for approval. The contract for a town-wide trash collection service has been held up, and we should have a better understanding of service and start dates by the end of the year. 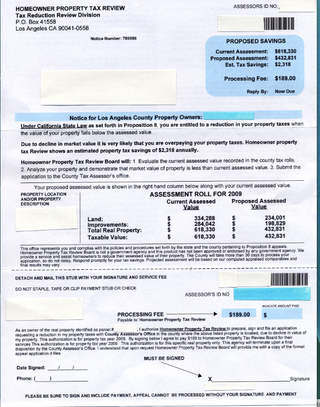 Meredith Maxwell of the U.S. Census Bureau made a plea for Altadena to form a Complete Count Committee for the 2010 census. Joe Gaydosh from LA County said that mud flows in Altadena were not expected to be significant. While they weren’t expecting debris flows on the streets. some properties could be affected more than others. Pasadena city councilmember Jacque Robinson brought the council up-to-date on the Pasadena City Council’s ad hoc commission on youth and neighborhoods, formerly the Pasadena/Altadena 2020 Initiative. Lincoln Crossing: Councilman Gene Campbell, the council’s representative to the West Altadena Project Area Committee, said that Dorn Platz was still involved in Lincoln Crossing, despite pleas from many quarters to sever relationships with the troubled developer. Dorn Platz unveiled plans for Phase II of the development at the Sept. meeting, Campbell said. Ruth Edwards, who was acting as chair in the absence of Gino Sund, ended up gaveling a heated discussion between Campbell and councilmember Allan Wasserman. Campbell stated that he was only representing his census tract, 4610, on WAPAC, while Wasserman said that he was serving as the council’s rep and therefore the entire town. The council decided that questions about the development should be submitted to Campbell, who will take them to the WAPAC meeting. Census tract reports: During census tract reports, Okorie Ezieme (CT 4602) started a hard-to-follow litany of complaints about a lack of information from the council chair, especially regarding the cell tower. He was admonished several times to keep his tract report to three minutes (he was given considerably more), and ignored several verbal and gaveled warnings about time until he was cut off by the chair. Herbert Simmons, the other representative from CT 4602, also stated that he had been “denied information” about the cell tower. Simmons also wanted to announce his student and teacher of the month winners as new business, but was admonished by acting chair Edwards that it was not council business, it was his own, and enter it into the public comment part of the meeting, which was done. Ezieme also made a public comment, urging the council to "consult with the community, and not take actions that could be construed as imposing our will over that of the community." Saturday Family Story Time at 10 AM, and Barks and Books (read to a poodle!) starts at 11 at the Altadena Main Library, 600 E. Mariposa. 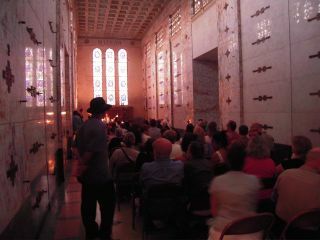 Return to those thrilling beatnik days of yesteryear at Altadena Heritage's Highbrow/Bohemian Weekend, which starts at 4 at the Mountain View Mausoleum. 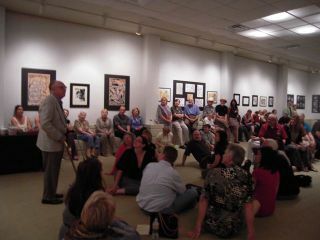 Art will be on exhibit all day Sunday, and the Sunday Salon also starts at 4. Christ the Shepherd is holding its Fall Jamboree, 185 W. Altadena Drive, including a Fish Fry from 11 AM-2 PM: $8 per person gets you a generous helping of deep-fried fish, choice of salad, baked beans, bread and a slice of cake- AND a Giant Yard Sale from 8 AM-2 PM: hundreds of items including clothes, knick-knacks, books on tape, videos and furniture. 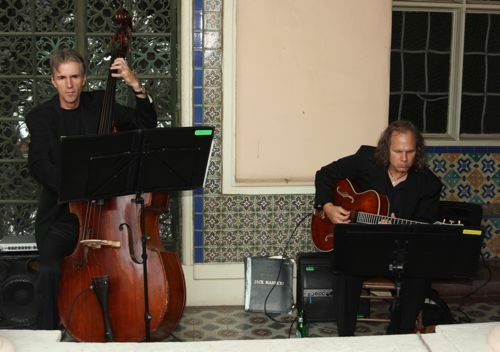 Proceeds benefit CTS' work with community services and programs. McGinty's Gallery (Altadenablog sponsor) will hold an open call for artists for their December show, noon to 5 at the gallery, 2475 N. Lake. Find out how the Mt. Wilson Observatory survived the Station Fire in a talk from one who was there, Observatory Superintendent and astrophotographer Dave Jurasevich, starting at 2:30 at the Altadena Library, 600 E. Mariposa.